This type of flatware information can be very deceiving, no wonder the price seems so good. It's actually a marketing ploy and if these flatware specs are missing altogether, this product may not really be stainless steel at all. If you're in the market for flatware, be sure understand stainless flatware differences and what they mean. However, some flatware manufacturers will label cutlery with a slightly higher than 8% nickel content, such as 8.3% as 18/10, since it doesn’t quite fit in the 18/8 category, and this labeling is totally allowable, but a little deceiving, none the less. It should be noted that even the best stainless steel flatware is subject to occasional pitting and corrosion if not properly cared for. 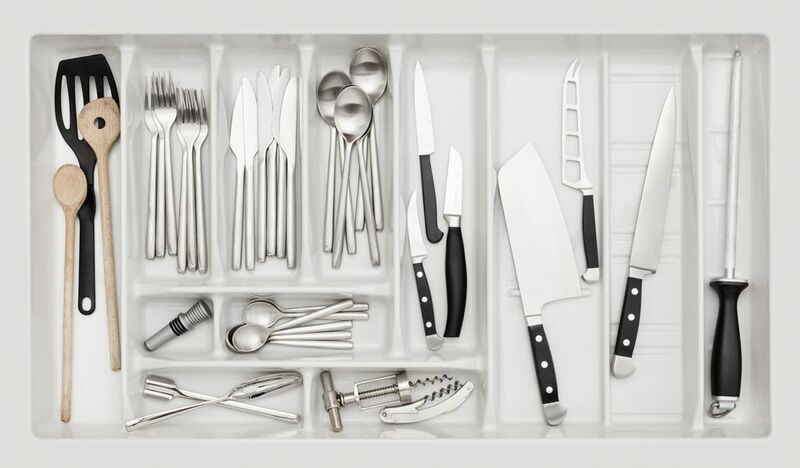 Dishwasher detergents tend to be harsh to stainless steel flatware and that can sometimes cause blemishes. These can often be removed with a stainless steel cleaner, but pitting, chipping, or rusting sometimes cannot be removed. Which Storage Solution Is Best for Your Kitchen?